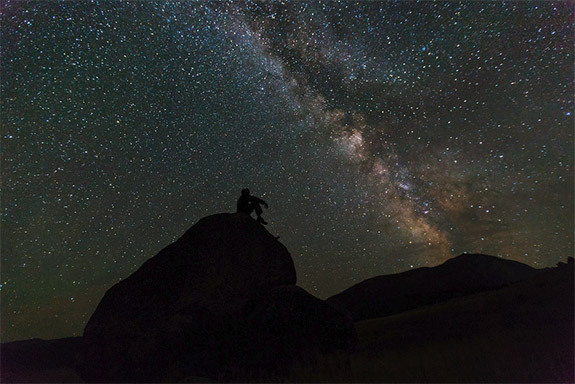 Photographing the night sky can be a challenging, but also rewarding, experience. Whether you are photographing just the sky and the stars, or a landscape under the night sky, it is possible to create very unique and striking images with night photography. Unfortunately, many people who live in developed countries aren't able to see the night sky without light pollution. Some places are known as being great locations for viewing a dark sky. In most cases these locations are far enough away from major cities that light pollution is minimal. In this article we'll feature 10 places in the United States that are ideal for photographing the night sky. At the end of the article you'll also find a list of some additional locations, and links to some websites that can help you to find a dark sky location near you. Spend a little bit of time researching the location that you want to visit, make sure sure you the right gear for night photography, and make an effort to get out and experience an amazing night sky. Arches National Park in Utah is popular with tourists and photographers because of its incredible natural arches and rock formations, but it is also known as an excellent location for stargazing. 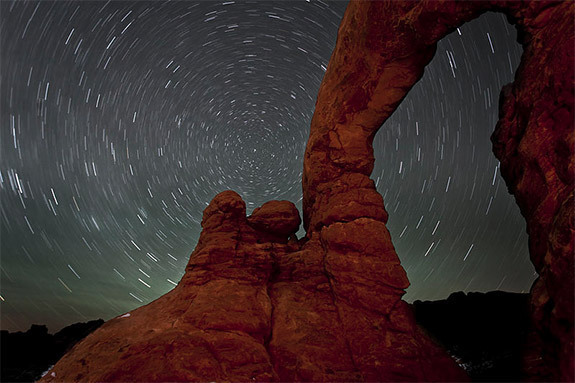 Photographers love being able to capture the arches and formations surrounded by a stunning night sky filled with stars. 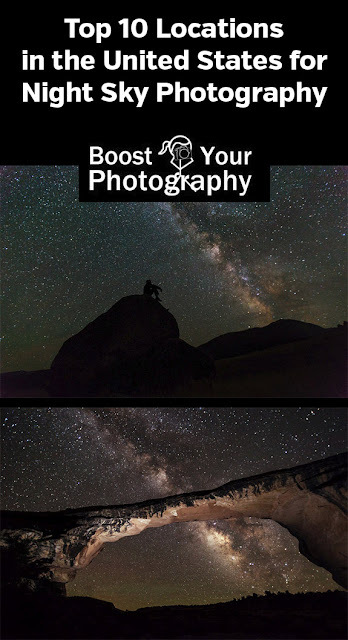 You can learn more about stargazing and night photography at Arches National Park here and here. 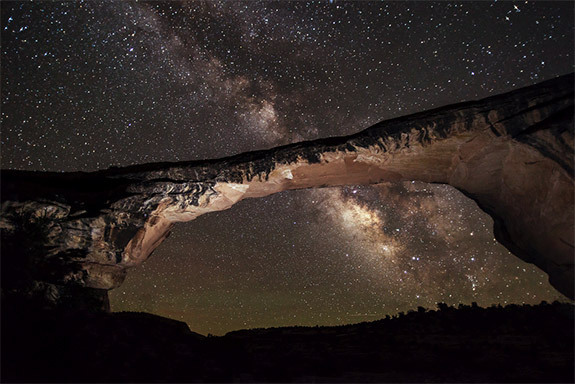 Natural Bridges National Monument is home to the world's second-largest natural bridge, and also provides a very dark sky that is great for stargazing and photography. It has one of the darkest skies of any NPS unit in the lower 48 states. Just like at Arches National Park, here you can photograph an amazing rock formation under the night sky. During the summer the park hosts ranger-led astronomy programs. 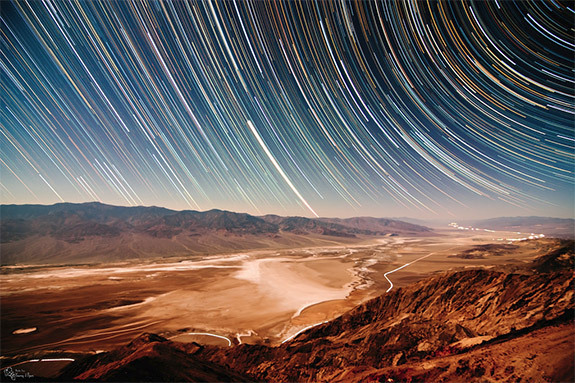 Death Valley National Park is classified as a "Gold Tier" night sky by the International Dark Sky Association, the highest level designation. Although it is a remote location, it is still within driving distance of major cities like Las Vegas and Los Angeles. 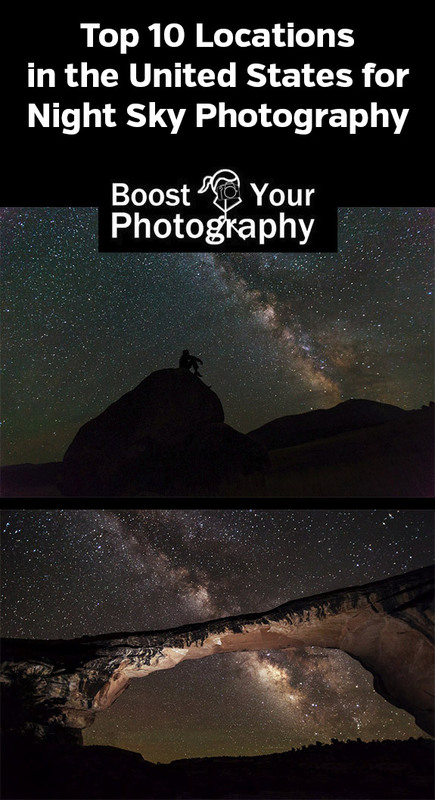 Here you can photograph a rugged landscape under a star-filled sky. Joshua Tree National Park is located far enough from major cities (and at a higher elevation) that it has a very dark sky, filled with stars. Still, it is within just a few hours of driving time from Los Angles and San Diego, so it is not difficult to access. Stargazing is a popular activity here, and you can see this page for information about the sky in each season. The park is even home to a Night Sky Festival. 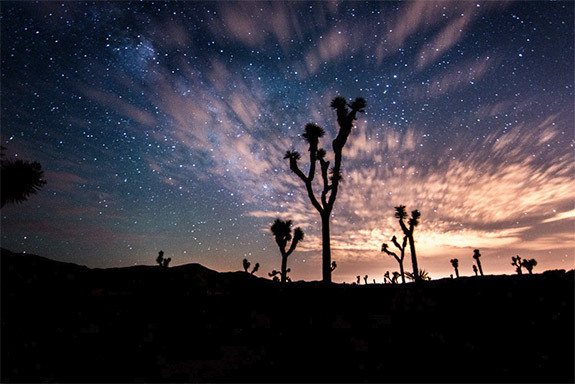 Photographers love the opportunity of photograph silhouettes of the unique Joshua Trees in the foreground of the night sky. 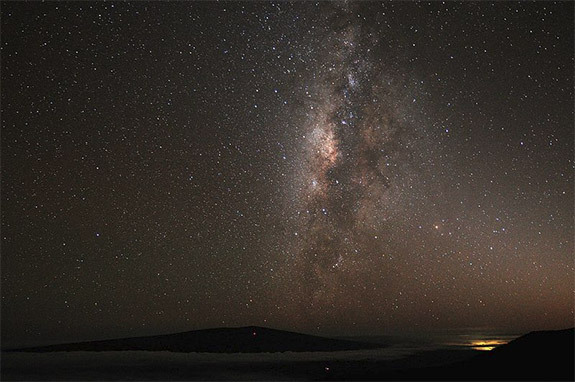 Due to its high elevation and dark sky, Mauna Kea on the island of Hawaii is an ideal location for stargazing. This dormant volcano exceeds 13,000 feet in elevation at its summit. The Visitor's Information Center is at more than 9,000 feet in elevation and here you will find a free stargazing program every night. With a 4-wheel-drive it is possible to travel on a dirt road beyond the information center and to the summit. Cherry Springs State Park is in a remote location in Pennsylvania, removed from the light pollution that impacts most of the northeastern United States. Stargazing is the main attraction at this park, and it is known as one of the best places in the eastern United States to view the stars. The park's astronomy field offers 360 degree views of the night sky. Yellowstone is one of the most popular national parks because of its unique geological features, amazing wildlife, and beautiful landscape. But its remote location also makes it a great place for stargazing. With plenty of open space and little light pollution, there are plenty of possibilities for stargazers and photographers at Yellowstone. This article lists the 4 best places within the park for seeing the night sky. 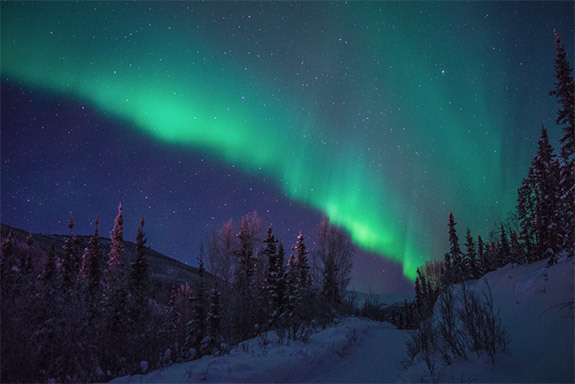 Fairbanks, Alaska is known for being an ideal place to view the Aurora Borealis, or the Northern Lights. This is a truly unique experience that you won't find in the United States unless you are in Alaska. From Fairbanks you can also take a tour to an even more remote location if you'd like. 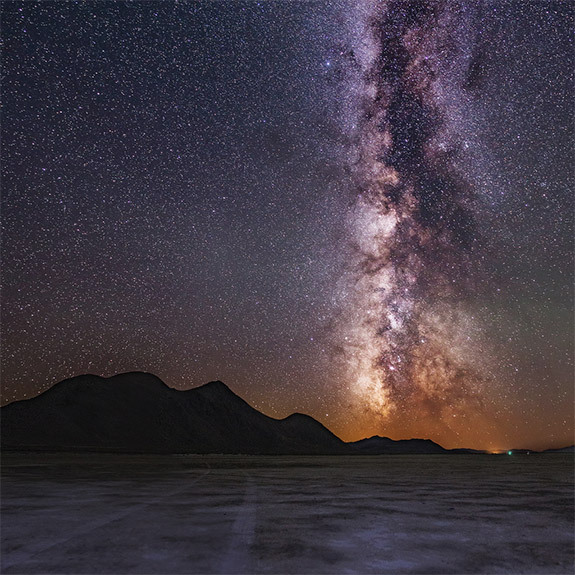 The Black Rock Desert of Nevada is known for being the location of Burning Man, but its also a great place to get an amazing view of the sky. The remote location and cloudless sky make it perfect for stargazers and photographers. 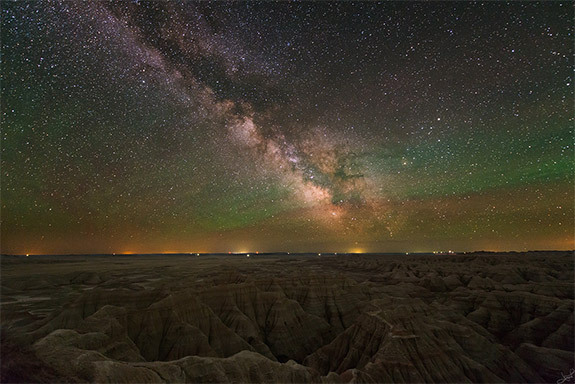 Badlands National Park is known for its rugged, other-worldly landscape. Its remote location also makes it perfect for stargazing. Photographers are able to capture the star-filled sky above this unique and beautiful landscape. The park hosts a Night Sky Program on summer nights from Friday to Monday, but you can get an amazing view on most nights throughout the year from any number of locations in the park. 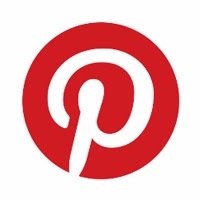 The places featured in this article are just the start. There are many others that could have been included, including Grand Teton National Park (Wyoming), Rocky Mountain National Park (Colorado), Big Bend National Park (Texas), Blue Ridge Observatory (North Carolina), Headlands Dark Sky Park (Michigan), the Ancient Bristlecone Pine Forest (California), Lake Tahoe (California and Nevada), and Chaco Culture National Historical Park (New Mexico). 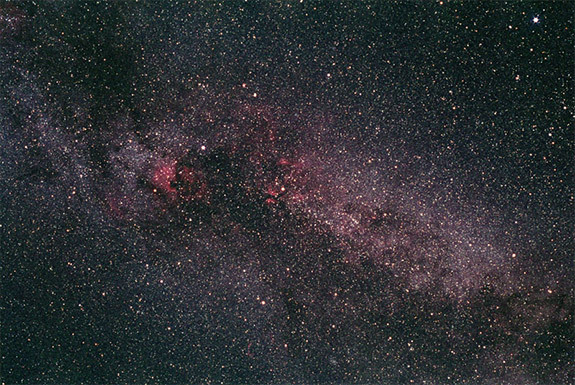 You can also find a great night sky near you by using a few different websites. The International Dark Sky Association shows locations that they recognize, and they have high standards. Try visiting this map, type in your location (such as a city or state) and look for the darkest places on the map. Another option is the Dark Sky Finder, which highlights some specifc locations, with limited information available on those locations. The map from Dark Site Finder also shows areas based on the amount of light pollution. Marc Andre is a landscape photographer and the editor of LoadedLandscapes.com. He lives in Pennsylvania and enjoys photographing different locations throughout the United States.